Join us and bring a friend to our first panel in a 6- panel series in the lead up to our Me Too survivors March on November 10, 2018. This Monday we will be discussing Me too and our homeless community. The #MeToo movement has put the spotlight on the sexual assault and harassment towards women, and it has made all of us want to fight harder against it and hear the stories of everyone, but especially of those whose voices still aren’t heard – our homeless women.The difference between the women that participate in the #MeToo movement and the women that are homeless is that when they speak, no one really listens. These women are already in the margins of society, and in the margins of our minds. So the very least we can do is see and acknowledge their reality! It’s time for a change. Because she does deserve shelter and protection and she does deserves to be heard and seen just like the rest of us that have come out to tell our me too stories. We have a great lineup of hardworking activists who dedicate their lives to helping our homeless communities. Please join us tonight. Mel Directs Monday Night Mission and The Shower of Hope. Monday Night Mission has served food to our homeless brothers and sisters on Skid Row for many years, and The Shower of Hope brings mobile showers to the homeless at multiple locations across Los Angeles County. Mel recently started the #SheDoes Movement to expand shelter facilities for homeless women in Los Angeles. Claudia’s commitment to helping people who are experiencing homelessness and poverty comes from a deeply personal journey. Having herself experienced homelessness and drug addiction, Claudia knows first hand what it feels like to reach the bottom levels of despair, almost losing her children to social services. Claudia founded LA on Cloud9 in 2012, from the core belief that every single person is worthy of dignity, respect, and another chance. LA on Cloud9 is a group of volunteers who gather on a weekly basis to deliver basic necessities such as clothing, toiletries, sleeping mats, and more, to people experiencing homelessness in encampments throughout the city. 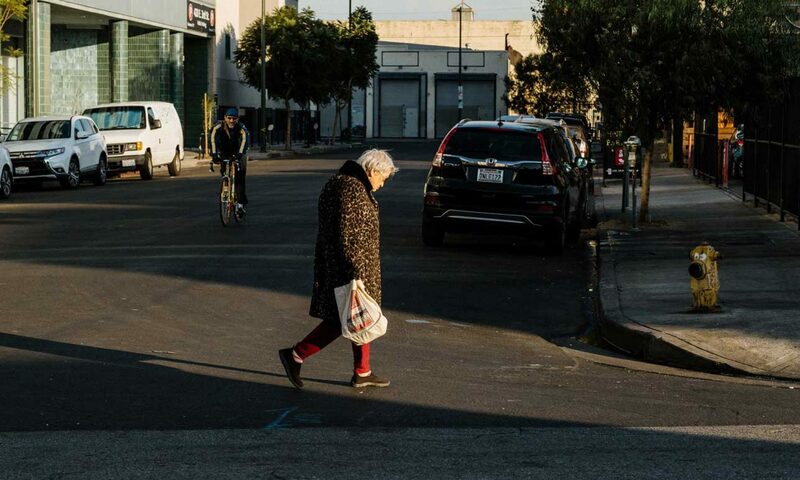 Kantrim is the program coordinator for Safe Parking LA, creating and managing programs that harness underutilized parking lots around the city to address the needs of Angelenos who are experiencing homelessness and sleeping in their vehicles at night. She serves on the Board of Directors of the Mid City West Community Council in an executive capacity, and administers a volunteer-led homeless coalition of neighbors and service providers in the Midtown region of Los Angeles, whose years of street outreach and advocacy culminated in the official creation of a Midtown Hub in SPA 4 by the Los Angeles Homeless Services Authority. Think Tank Advisor on Homelessness Solutions & Social Advancement. A Dynamic Speaker on Social Advancement Louise Mbella “Sinai” (Frenchy) is an active and Savvy Consultant Advocate for Homeless Rights, Women Rights, Social Justice & Human Rights in Downtown Los Angeles Skidrow & Beyond. A native of Créteil-France and immigrant in Los Angeles. Her Lived Experience as she overcame the struggle of Homelessness, Oppression and Trauma is Unique, Vivid and Compelling.